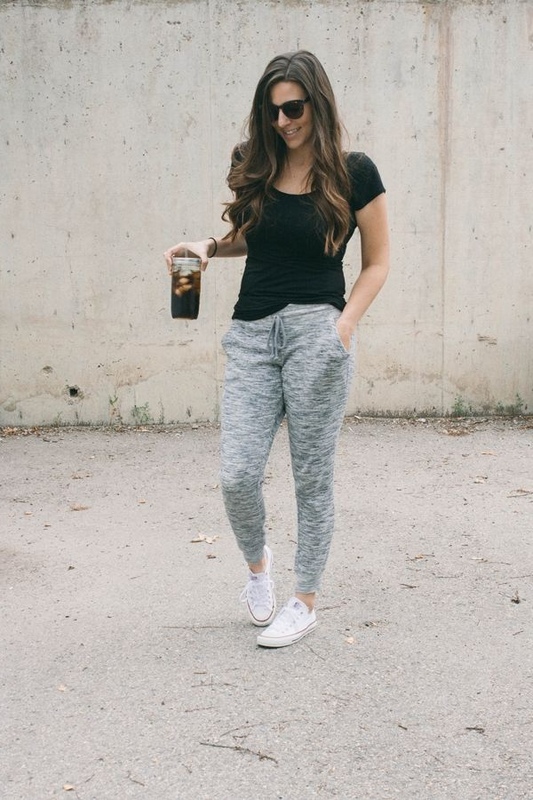 As you all know, sweatpants are made for lounging, doing sports and weekends wear. But what if we want to wear them in our everyday lives, during work and parties? 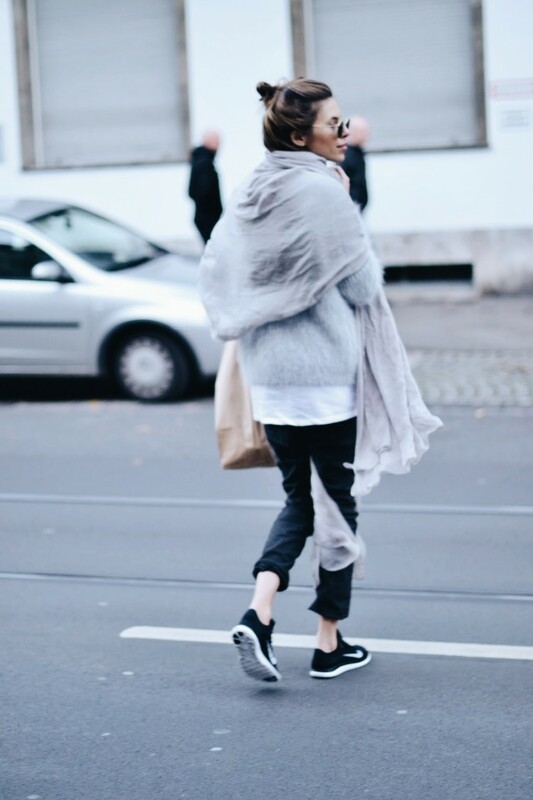 Everything is possible and today I bring you a gorgeous collection of best ways how to wear sweatpants. The great thing about these track pants is you can run-jump-work-out and wear them at work. There are several rules to stick to, like choosing slim fitting pants, pair them with dressier tops, keep the overall look simple and avoid looking like a college girl. When it comes to choosing the casual style that is right for you, then I recommend to choose slim-fit black ones and pair them with your favorite white V-neck tee and layer it with awesome black leather jacket. In this compilation I have gathered beautiful silhouettes, unique materials and statement-making styling details. I remember time, when these bottoms were used to wear only at gym classes, but things have changed and now we see a rise of stylish sweatpants fashion what has spread all over the world, thanks to the sports movement and athletic trend. They can be worn to work, but you have to ideally combine them with your formal attire, by doing things the right way. For instance, go for black ones and style them with striped long-sleeve top paired with black blazer. Of course, there are thousands more styles to try, starting from model-off-duty casual to fancy glamour styles, ideal for parties and night-outs. Make sure they flatter your body, so you can rock them with your favorite tops and knits. Anyway, I think we better look through this compilation and choose our favorites, what are ideal to wear from day to nights.